When we look back 20 years from now, we will define Summer 2014 by Pharrell Williams’ “Happy.” “Happy” is the hit track from Williams’ second album, Girl (2014), and the Despicable Me 2 (2013) soundtrack. The song calls each individual to love being who he or she really is. It’s becoming increasingly more lucid where we are right now in the postmodern epoch is a time when too many individuals suffer from psychic fragmentation. Too many people have become so focused on being what others want them to be that they don’t even know who they really are any longer—it’s possible they never even gave themselves a chance to learn who they really are. With the release of “Happy,” Williams offers a valuable counter-narrative to the dominant American narrative that says who you really are isn’t good enough, and to be good enough you need to be someone you aren’t. The challenge to the status quo “Happy” presents begins with the song’s ingenious author, Pharrell Williams. Although we’re living in a time when people highly embrace flashy phenomena they hope will make them standout, Williams finds peace in simple elegance. He knows how to make simple clothing, clothing that’s not flashy, refreshingly elegant. When we see Mr. Williams, we’re witnessing a human being who has been liberated from the postmodern impulse to be someone he’s not. 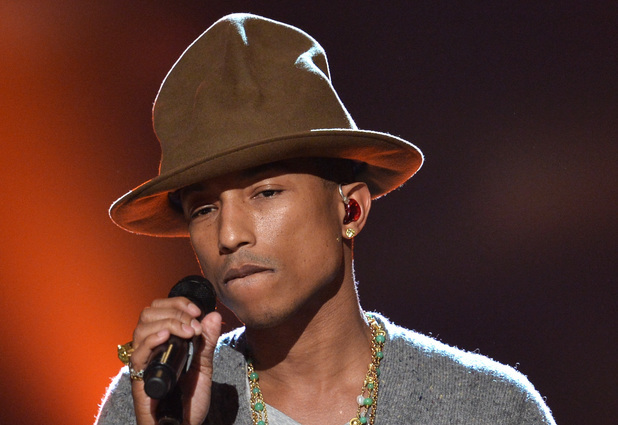 “Happy” has given us an opportunity to experience the true substance that composes Pharrell. Through his amazingly successful song, music fans are provided with a powerful alternative to the prevalent fear countless individuals have about loving who they truly are. “Happy” has been #1 on the Billboard Top 100 and #1 on music charts in 19 countries. Even with this song’s great success and wide popularity, it does not seem to have had any meaningful impact on changing America’s fascination with the superficial over the substantial. One of the primary reasons for this could be how distracted we can get with hot beats that make us dance. Unfortunately, we too often don’t want to reflect on why these beats make us want to dance in the first place. If we would engage more closely with the positive messages of “Happy,” it’s possible for us to move closer to understanding the value of diversity, and we might even start cherishing diversity. This will require us to move past the hot beats and the dancing those beats promote and develop into a more reflective people. Critical reflection enable us to see how Pharrell’s song can be employed as a vehicle to engender a massive wave of camaraderie and harmony among sundry people across the nation and globe who are presently divided. For the real power of the song to be unleashed, it will take intellectuals, scholars, activists, community leaders, religious leaders, politicians, teachers, and many others to muster the courage to host nationwide forums, lectures, debates, and etc. where substantive discourse can take place about the song and how its messages can be used to instigate change in America and across the world. Music has the ability to transform lives, to transform nations. Even though Williams’ song may not produce the type of critical discourse across the nation and globe it merits, the song’s staying power will give us an opportunity to heed its vital messages even 20 years from now. When we take a moment to envision a nation and world that mirrors the one offered by the music video for “Happy,” we begin to acknowledge how priceless the song is. The song helps us to realize that our differences should unite us instead of divide us. “Happy” seems to suggest that our differences shouldn’t cause us to lose sight of our universal longing for happiness. History will inevitably mark Summer 2014 as a watershed moment in world history when “Happy” caused people to think seriously about the importance of simply being themselves.